In Lesotho on the 10th of April this year the National Census collection process started. The process is that the Census form is filled out not by the subjects, but by one of the 7000 enumerators arriving on the doorstep. The collection process was scheduled to last for approximately two weeks, which means it should have ended some time last week, barring stragglers and hold-outs who don’t want to return their forms. 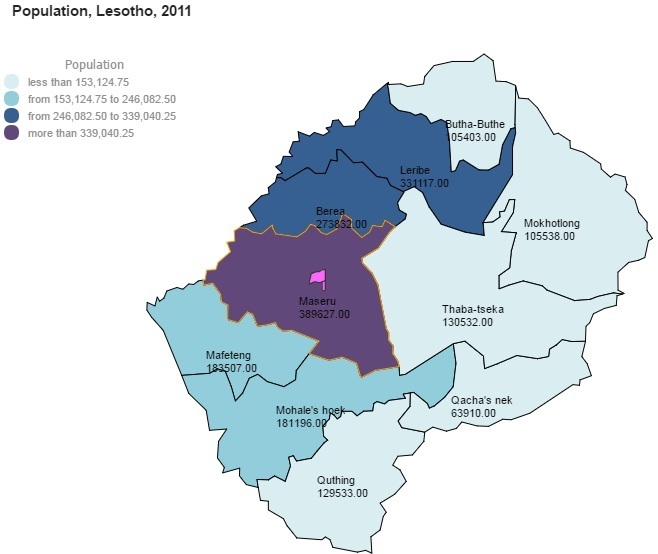 The last Census in Lesotho was conducted in April 2006, which is a full decade ago. A lot has changed in that time. The indications are there that Lesotho will confirm a recovery in population growth, having previously almost been “flatlining”, it is now anticipated that Lesotho will have reached a healthier replacement rate for its population. 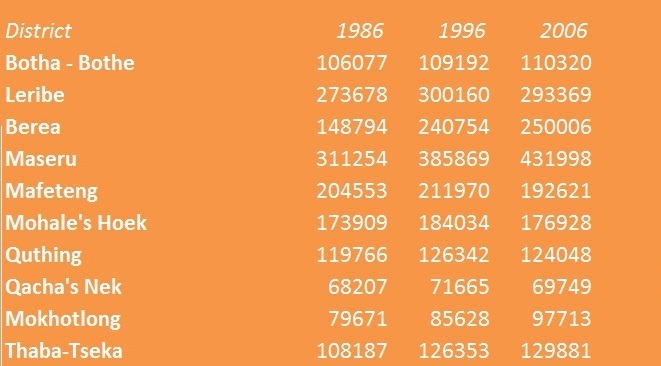 The Bureau of Statistics have performed some population projections. These have some interesting implications for the field of physical planning. First and foremost they have indicated that they expect an increase of 56,000 in the population to 1,932,814. This will mean a population increase of almost 3%. This is conservative, and while based on long term trends makes health and economic assumptions that date back to 2007 data. A more dynamic view is evident in the UN’s Department of Economic and Social Affairs which sees Lesotho’s mortality and survival rates contributing to a population increase to 2,074,000. This growth recovery in both projections is expected to be Urban based, this of course has planning implications. If towns and cities are going to get bigger, they will need a more regulated in terms of where is used to provide housing for the new populations. There will need to be road, utility and social infrastructure provided to manage the impacts of an intense increase in numbers. #MapLesotho has a part to play in providing an up to date building count. Building counts can be used as indicators of how much, and more significantly where population increases will take place.